OWH Stars and Stamps (Our OLD blog! ): In Style Stamps Features Operation Write Home! In Style Stamps is featuring Operation Write Home on their challenge blog in honor of our first birthday! 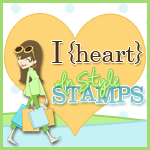 In Style Stamps has an amazing selection of images and stamps - there is something for everyone! We offer both rubber stamps and digital images, and more is added to the inventory every month. The rubber stamps are deeply etched, cling mounted and ready for use. The digital images are high quality, very detailed, and available for immediate download. We also offer a great selection of affordably priced May Arts ribbon. Be sure to check out the InStyle Stamps blog to see samples with newly released images, current challenges (something new every week! ), and more! This week (September 20th through September 24th) we will be releasing more new Chloe images, so be sure to check the blog often for samples from our designers! While you are there, sign up for our newsletter to stay in the loop about upcoming images, get coupon codes, and advance notices of sales! You can find us on Facebook and Paper Craft Planet as well. We are so excited to be participating the Operation Write Home Birthday Bash. To celebrate, we will be giving away FOUR digi images from our store to one random winner of our challenge!